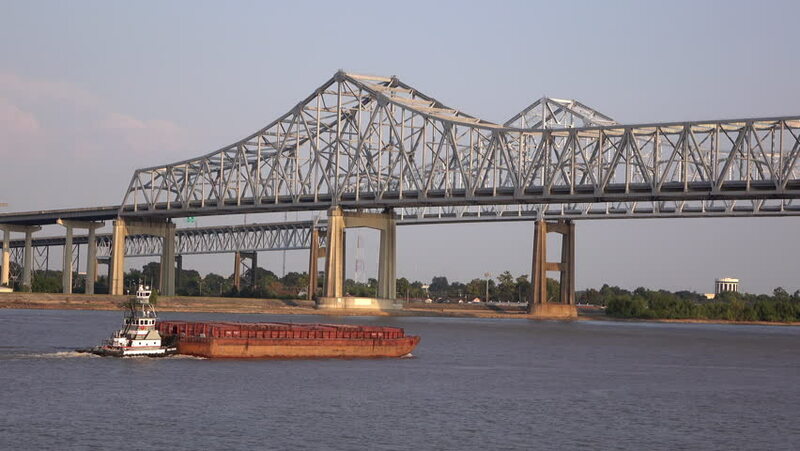 NEW ORLEANS, LA - CIRCA 2015: Industrial flatboat moves toward huge metal scaffold bridge on calm waters and bright sunny day in New Orleans, Louisiana. 4k00:27BRISBANE, AUS - JULY 1 2016: Brisbane Story Bridge and close up of ferry citycar on the river. 4k00:21BRISBANE, AUS - DEC 30 2018:Ferry boats sail under The Story Bridge.It's the longest cantilever bridge in Australia, spanning the Brisbane River in Brisbane Queensland, Australia.